For more than 100 years, Japan has led the way in luxury towels. Fortunately the USA is catching up thanks to Kaz and Yuka Morihata, who founded Morihata International to bring high-quality Japanese goods to the global market. 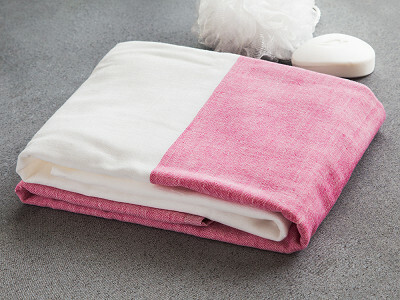 Their Yoshii towels let you indulge in the softness of Japanese cotton. The Imabari region produces a special cotton called “Shankar 6.” This hand-picked organic cotton is cultivated with few agricultural chemicals. The cotton seeds are allowed to fall from the tufts naturally instead of being separated manually, keeping the soft fibers from being torn. The Shankar 6 is then massaged, fluffed, and combed before being twisted into thread and gently bleached. 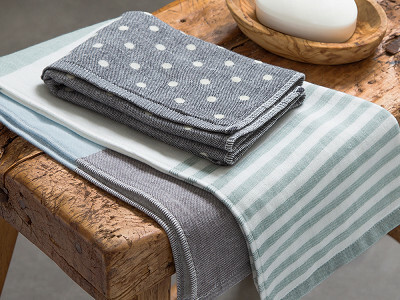 These absorbent, exceptionally soft towels are lightweight and fast-drying. The minimalist graphic designs offer a crisp visual, whether hanging or folded. 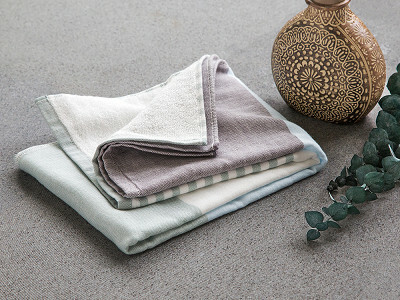 And with these towels’ low profile, they’re perfect for small storage spaces as well as for travel. Whether at home or on the road, pamper yourself with a towel from Yoshii. Hi, I'm Mike from the Grommet, covering for the Yoshii team today. We are excited to share these beautiful towels with you. 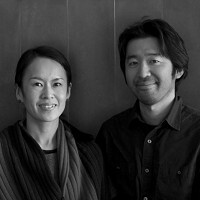 They are made in the Imabari region of Japan in a town that specializes in producing luxurious cotton fabrics. I'd be happy to answer any questions for you! Hi Elaine, as long as you are hanging them up they will. These are known for drying very quickly. Are they pre-shrunk? What size in inches are each towel? Hi April, they are not pre-shrunk, but when we tested them we did not find any traces of shrinkage. Just to be safe, be sure to follow the care instructions which can be found on the details page. You can get there by clicking the orange "buy" button above. 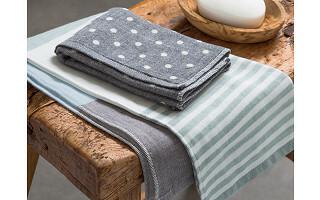 Bath towel: 51" x 25"
Hand towel: 31.5" x 13"
Polka dot and two-tone wash cloth: 13" x 13"
Tri color wash color: 10" x 10"
Wow! Sounds great. BUT a little uptight with the IRONING option. Do the towels stay wrinkled after drying? Does line drying help prevent wrinkling? Hi Mary, good questions. 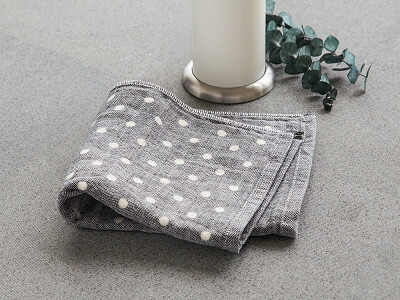 The towels don't wrinkle any more than any other towel, but if you want them to be as crisp as they are when you receive them, you'll have to iron with the recommended settings. Line drying will certainly help as will any type of hang drying for that matter. I also like using these in a guest 1/2 bath as hand towels. Visitors often ask me about them because they are so soft and absorbent. They want to know where I got them. Until now the answer was an exercise in frustration as I could only say "Tokyo." 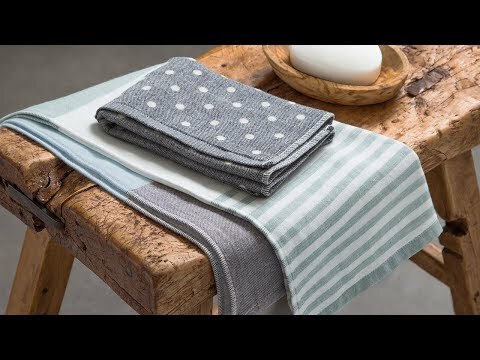 Do these towels need to be washed first, or can they be used immediately like some towels do? Also do these towels leave any lint residue? Hi Cindy, you should probably play it safe and wash them before use. But there is no lint residue.